Beautiful apartment 300 meters from the sandy beach. Cozy apartment with 2 bedrooms and 2 bathrooms. Balcony. Lido di Camaiore is a popular tourist destination in Versilia. The long and beautiful sandy beaches, many shops, Bars, Restaurants and the many excursions offer travelers many options around the vacation optimally spend. This property is in a house with other 5 units. The house is about 300 meters from the beach. A car while on leave is not necessary. Elevator available. Facilities: apartment about 90 m², for 4/7 pers. On the 2nd floor cozy furnishings. The apartment is on 2 levels: large living room 3 sofa beds, balcony with sea view (side), 1 double bedroom, bathroom with shower. A staircase leads to the 2s level, in the kitchen with a dishwasher and a large table, 1 double, and 1 bathroom with shower is located. Washing machine, TV, available. 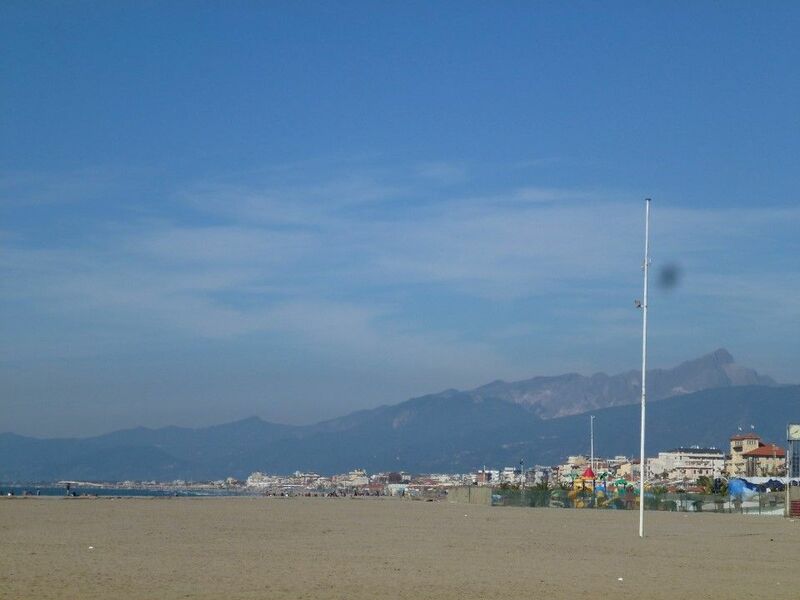 Distances: sandy beach about 300 m. Shopping, about 200 m., Restaurant 200 m .. Center about 300 m. Airport, Pisa 30 km. Infos: Vor Ort zu zahlen: Kaution € 200. Wasser, Strom, Gas, Bett-Badwäsche inklusive. Für die Monate Juni-Juli und August die Restzahlung kann vor ort bezahlt werden. Info: A régler sur place: Caution € 200. eau, électricité, gaz, linge de lit bain inclus. Pour les mois de Juin Juillet-Août, le solde peut être payé sur place. Info: To be paid on site: Deposit € 200. water, electricity, gas, bed-bath linen included. For the months of June July-August, the balance can be paid on the spot.